1/2'' By 200' Double Braid Polyester Rope White and Red by Blue Ox Rope at Breezin Thru Charters. MPN: WRDBP12200. Hurry! Limited time offer. Offer valid only while supplies last. 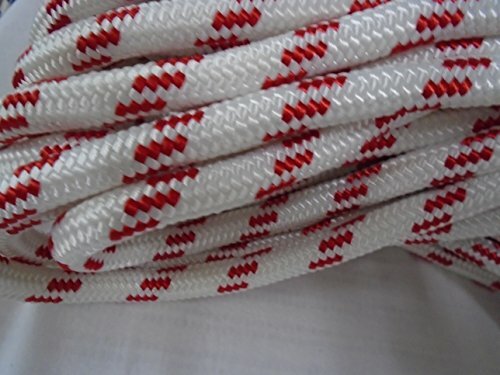 This is one brand new, never used 1/2'' by 200 feet white and red double braided polyester rope. This rope is tightly braided and cannot be spliced. This is one brand new, never used 1/2" by 200 feet white and red double braided polyester rope. This rope is tightly braided and cannot be spliced. Excellent rope used for halyard, control lines, sheet lines and rigging lines. Can also be used as an arborist tree rigging line. Made in the USA.